If you dream of getting into Medicine and achieve the best results in your UMAT examinations, then Master Coach is the ultimate solution for you. We set a basic standard for preparing students appearing for UMAT or Undergraduate Medical and Health Profession Admission Test. 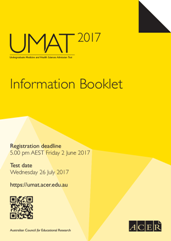 Students in their year 12 can undergo the UMAT exams. It is scheduled to take place in the month of July. We at Master Coach offer a personalised learning experience – especially to students who are preparing to appear for UMAT. UMAT exam is nothing like high school examinations. It’s not easy to crack, requires a completely different level of focus, preparation and understanding. UMAT preparation involves perfecting the art of using numerous techniques and process of giving the right answers to questions. It is crucial for students planning to appear for UMAT examinations – to undergo cohesive coaching and training session – if they aim to achieve higher scores and reach the next level – which is the University interview session. Master Coach focuses on coaching UMAT students – thereby enabling and guiding them to master the techniques of the examination, enhance their critical thinking calibre and consistency. It’s a known fact that the proximity of UMAT is super tense. It drives the stress level amongst both students and their parents to a new high. It is considered as one of the most aggressive and stressful competitive process of Year 12. And we at Master Coach help students by combating their anxiety and stress level and assisting them to comprehend the process in a logical and effective manner. We understand and are aware of the fact that each student has particular learning ability. Their requirements differ from one student to another. We ensure a close-knit classroom environment for students – housing not more than 9 students in each class – which allows our tutors to provide undivided attention to every student. We address individualised needs of students. We have a team of highly experienced and certified UMAT tutors – who understand the importance of this competitive exam and are trained to help students in every aspect of UMAT preparation process. Master Coach private tuition centre is located in Hurstville. We are committed to guiding and training students to ace the UMAT exam and achieve an opportunity to enter the field of health profession and Medicine. We arrange for a comprehensive teaching program, delivered within a small yet individualised classroom setting. We follow a system whereby each course is split into distinct sections. The process helps our teaching staff to assist students and guide them through the syllabus in a strategic manner. We have a curated set of excellent questions, which we train and make each student answer. The drilling session also enables us to suffice student requirements, answer their queries and guide them via a logical pathway. The UMAT Preparation program that we offer consists of a step-by-step and customised course and study approach. The entire course combines exam strategy development, scheduled trial exam, tutorials, one-on-one support system and individualised sessions. If you live in and around Hurstville and want to enroll your kid to a private tuition centre that offers specialised courses for students appearing for UMAT exams, then Master Coach Private Tutoring Centre is the institution to bank upon. Our tutor team consists of professionals hailing from University background, holding prestigious certifications, and having years of experience to teach students preparing for UMAT examinations. You can contact us through our website or visit us at our centre. We will arrange for a one-on-one session with one of our experts and guide you through the enrollment process.